FINAL DAY to Submit Falvey Scholars Award Nominations! 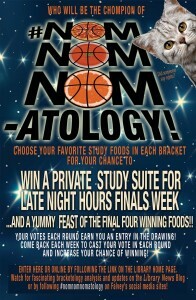 If you haven’t already, please consider nominating an eligible student for a Falvey Scholar award. The Falvey Scholar awards are given to seniors who have completed exemplary (and publicly presentable) scholarship or research during their undergraduate careers at Villanova. Nominations must be submitted by TODAY Tuesday, March 31. Interested in nominating a student? Submit a nomination. …to grow up and become who you really are. Are you a fan of poet e.e. cummings? Read an article about the newly-illustrated “celebration” of the poet’s life, Enormous Smallness. 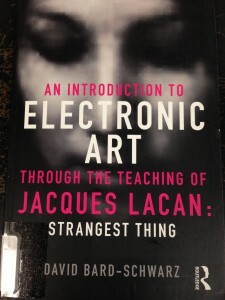 To give you an example of what you might find in the book An introduction to electronic art through the teaching of Jacques Lacan: strangest thing, I turned to chapter one on “Bodies” and found the following description of a QuickTime movie by Michael Rees. “Each coupled figure in the representation is poised between a single body with symmetrical elements and a hybrid of two, or perhaps four bodies, fused as conjoined twins.” It was the strangest thing.